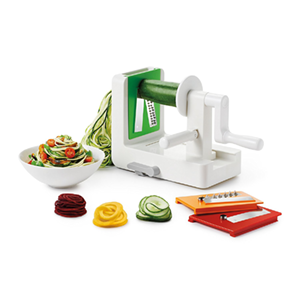 What is a vegetable spiralizer? 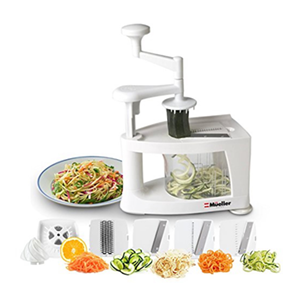 Most health-conscious chefs today have heard of these very handy and inexpensive specialized slicers that, with some hand cranking involved, can basically create gluten-free, vegan, low-carb pasta-like noodles. 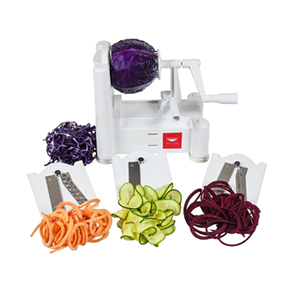 Whether you're looking for creative, colorful and/or nutritious ways to add more vegetables into your diet or trying to eliminate refined grains, a vegetable spiralizer can be a simple way to add flair and texture to your meals. 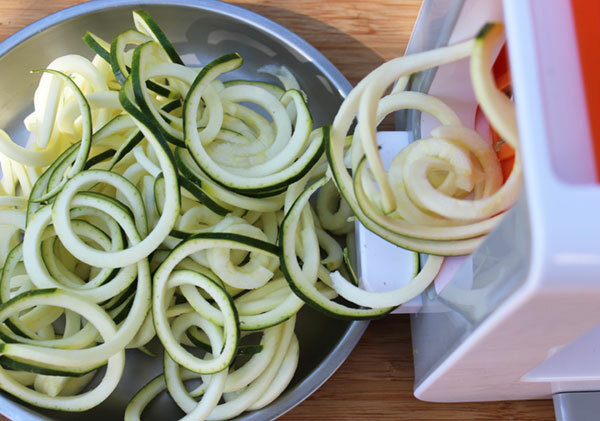 While zucchini is definitely the top vegetable most commonly used when "spiralizing", there are many other less well-known selections to choose from that we will discuss further below. If you've ever made homemade pasta, these devices are actually very similar to using a manual pasta machine. You secure the vegetables, rotate the handle and long curling noodle strips come out the other end. 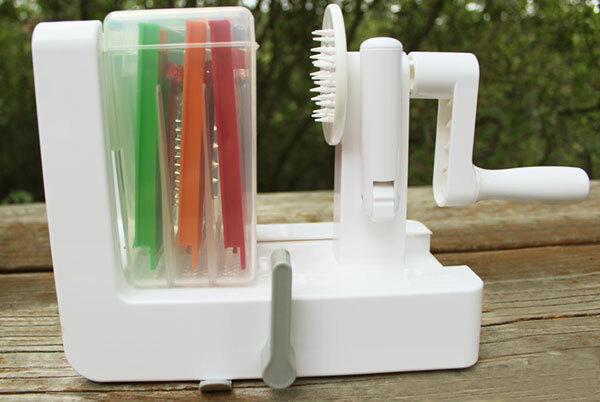 The very first spiralizer we owned, way back in the late 90's, was the little Saladacco Spiral Slicer, a light weight and fairly basic model. At the time, it was pretty much the only variety available in the Western world. Now, with their growing popularity, these convenient vegetable-transforming devices are available in much more sturdy and improved variations. 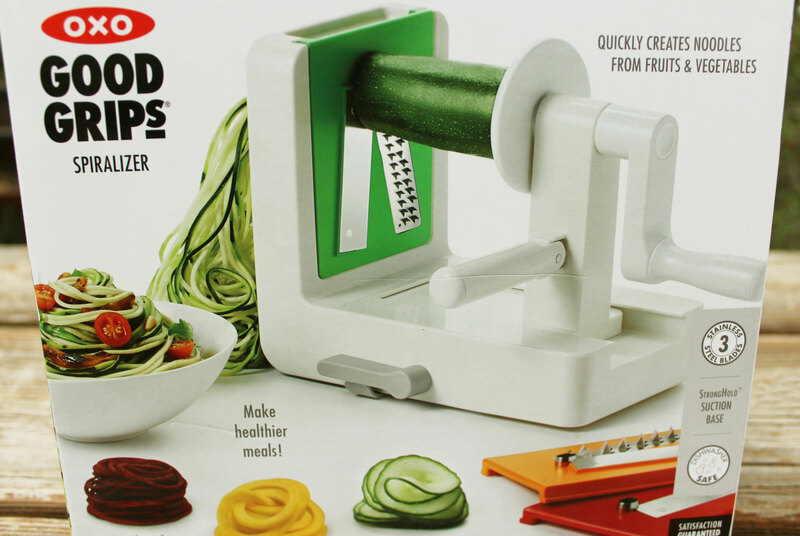 While they all do relatively the same thing... slice your vegetables into angel-hair, fettuccine or ribbon-type shapes, manufacturers can vary in quality. 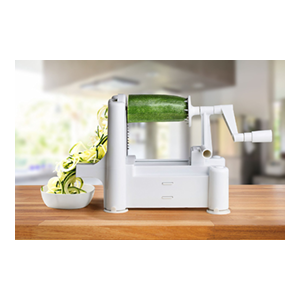 With over dozens of models to choose from, here on this page we have researched some of the top-rated brands, as of 2017, as well as provide info on our own personal favorite vegetable spiralizer, frequently used when preparing raw vegan meals and salads. There are basically two types of spiralizers. 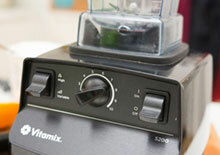 Handheld spiralizers are very simple compact versions that require a bit more muscle but can effectively do the job. They are especially appropriate for softer vegetables or when you're making smaller size meals that only require a minor amount of veggie noodles. 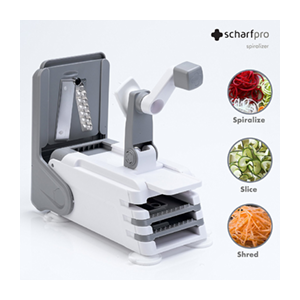 You basically twist the vegetables onto the steel-plated grater that is designed to create a spiral shape rather than the standard straight shred grater. 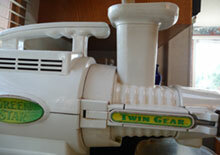 Unlike the counter-top versions, they don't have the handle-cranking mechanism. Most models only come with one general shape selection, usually a spaghetti-type noodle shape, but recently 3-blade options are becoming more popular. They are definitely a convenient kitchen tool to have when traveling or backpacking as they are very small, lightweight and easy to clean. And, if you don't happen to have a whole lot of counter space or storage cupboards, they are a much better option. 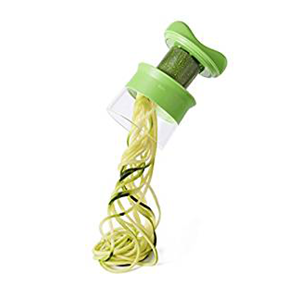 We recommended getting a handheld vegetable spiralizer, if you don't think you'll use it that often or if you are new to spiralizing and just want to experiment with using vegetable noodles and ribbons in various recipes and salad creations. They are also a much cheaper alternative if you don't want to spend extra for a more deluxe model. As of 2017, they usually fall within a price range of $7 - $15. These are stable and sturdy devices that essentially suction down on your counter-top or chopping board. This is particularly important because you will be turning a handle around and around and you don't want the spiralizer to wobble or move while this is occurring. A good suction cup system allows you to spin your noodles very fast, much quicker than a handheld unit. Fairly lightweight, made from plastic, they are a not too big, roughly a little larger than shoe box. 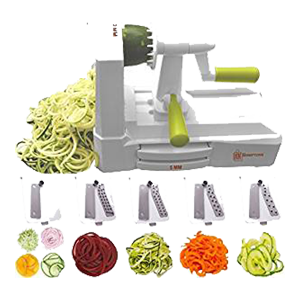 Another great feature on these vegetable spiralizer variations is that they come with a number of interchangeable blade slicers. Usually at least three, but sometimes more. Generally, there is a narrow "spaghetti" cut blade, a wider "fettuccine" cut blade and a "ribbon" cut blade. Others additionally have veggie chips or small and large julienne-type blade attachments. As of 2017, they frequently average in the price range of $25-$40. 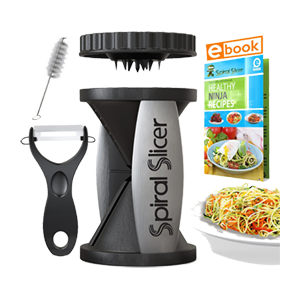 These selections are great for home chefs who like to spiralize occasionally once or twice a week. They are a bit easier to store than electric units and are much lighter to pull in and out of your cupboard space. These are our personal favorites! 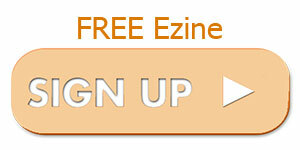 Because of their recent popularity, electric counter-top models are exceedingly more common these days. 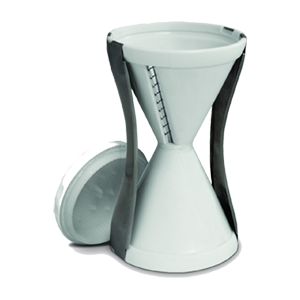 These types are basically serious appliances for homemade meal preparation. They can range in size and durability, but essentially make specializing a very easy task to complete in less than a few seconds. You may want to purchase an electric model if you find yourself spiralizing on a frequent basis or are making meals for large groups of people. 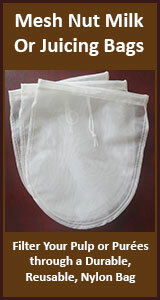 They make it a very easy process, plus they're more durable and can withstand repetitive daily use. 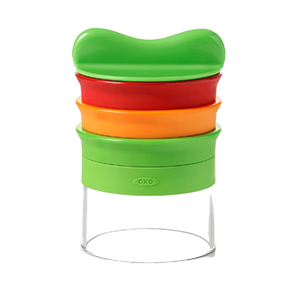 Our favorite spiralizer, that we've been using for about 2 years now, is the OXO Good Grips Tabletop Spiralizer. 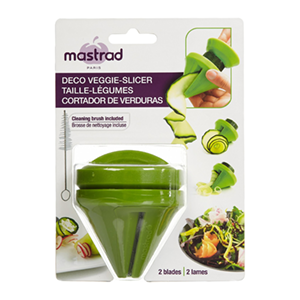 This is a 3-blade model that securely sticks, when the suction lever is pushed down, onto any counter-top without budging a bit when hand-cranking your veggies. The vegetables fit into the center and the process is something like the old fashioned apple peeler, you just hold the handle and turn. The spirals, ribbons or chips come out the other end. The blades are color coded (red, green and orange) and easy to slip in and attach. They are also neatly stored inside their own protective safety case. This is a great design feature that makes it more convenient and compact. Plus, the detachable handle increases its storage options. The blades are fairly easy to clean, but we recommend dedicating a toothbrush for this task as its better for scrubbing around the blade itself. 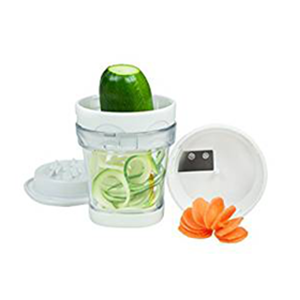 We also have a OXO Good Grips handheld spiralizer, which comes in a one and 3-blade option. 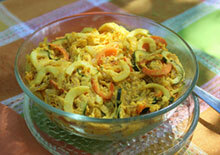 This is ideal when you just have a small amount of vegetables to spiralize for salads or side-dishes. 1-Blade Handheld - The one built-in blade option comes in spaghetti-style with no other blade attachments. 3-Blade Handheld - The three blade OXO handheld comes with three separate screw on attachments for making spaghetti, fettuccine and ribbon size cuts. 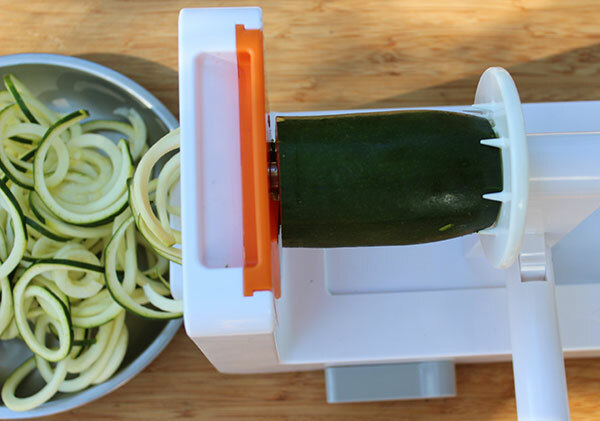 These handhelds are great for softer vegetables like zucchini that are easy to press and twist onto the blade. The handheld is very compact, fitting into most kitchen drawers no problem. 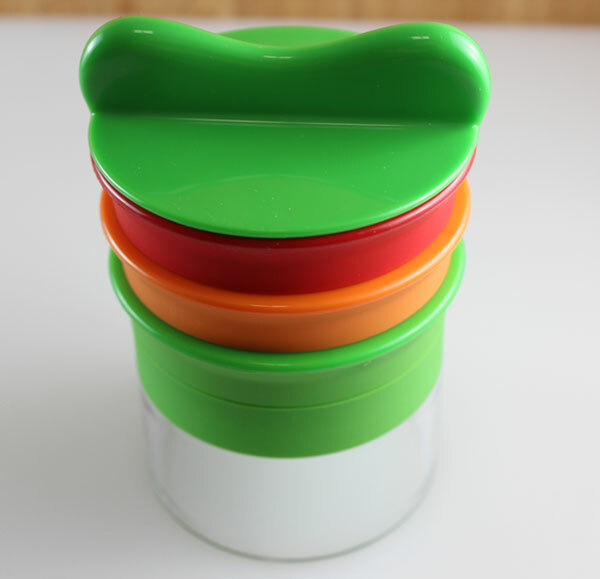 It also comes with a vegetable holder that also doubles as a lid blade-protector for safe storage. These gadgets also incidentally make for nice gifts or family stocking stuffers at Xmas! Without a doubt, zucchini is the top vegetable used for making raw pasta replacements, often referred to as "zoodles" as it has an off-white color and soft texture similar to flour-based noodles. (*) You can either peel them for a pasta look alike or leave the skin on for added nutrients and color. 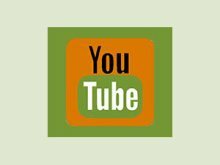 But besides zucchini, there are many other vegetables, and sometimes fruits, to use when making raw food dishes as well as cooked or baked entrées. The easiest vegetables to use are the ones with solid cores or varieties that have a firm quality. 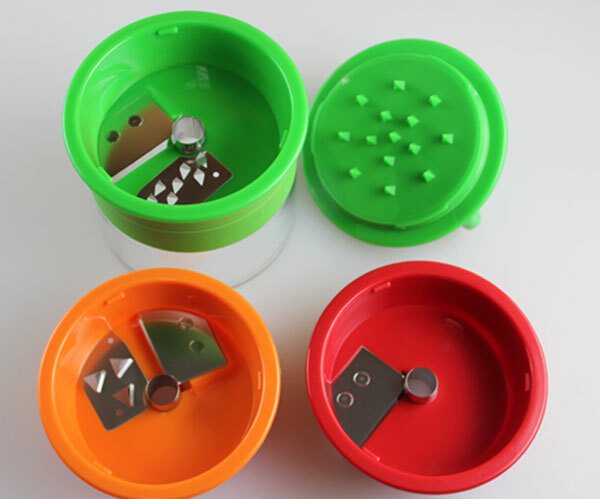 The vegetables can also be uniformly sliced or cored before placing them in the insert. 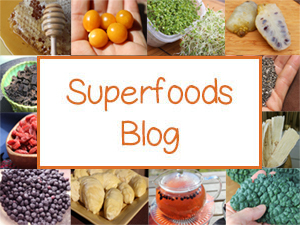 When shopping for produce, it is best to select the larger or wider assortments. Whether used for a raw food meal or in cooked entrées, the neutral flavors of these selections blend well with flavorful sauces and many different cultural seasonings.